US History Review Game. 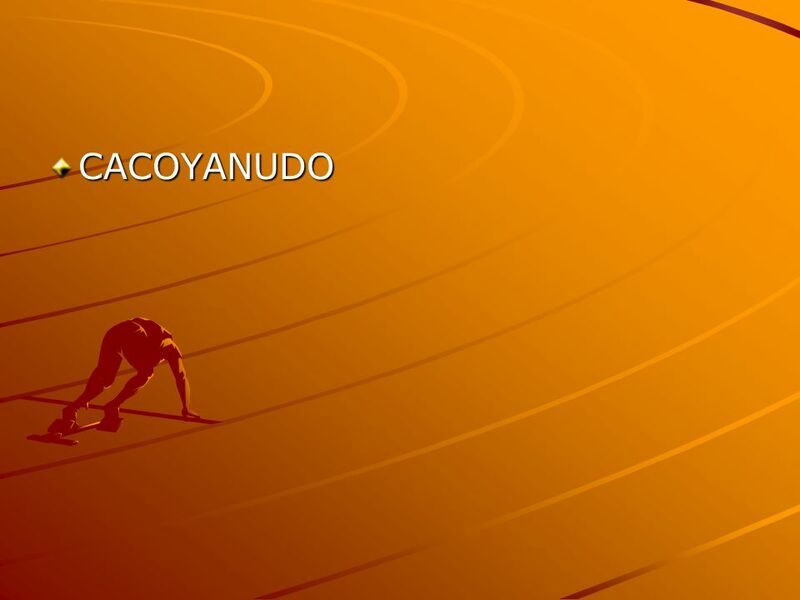 CACOYANUDO Which of the following were reasons for English colonization? A) religious tensions B) population increases C) enclosure. 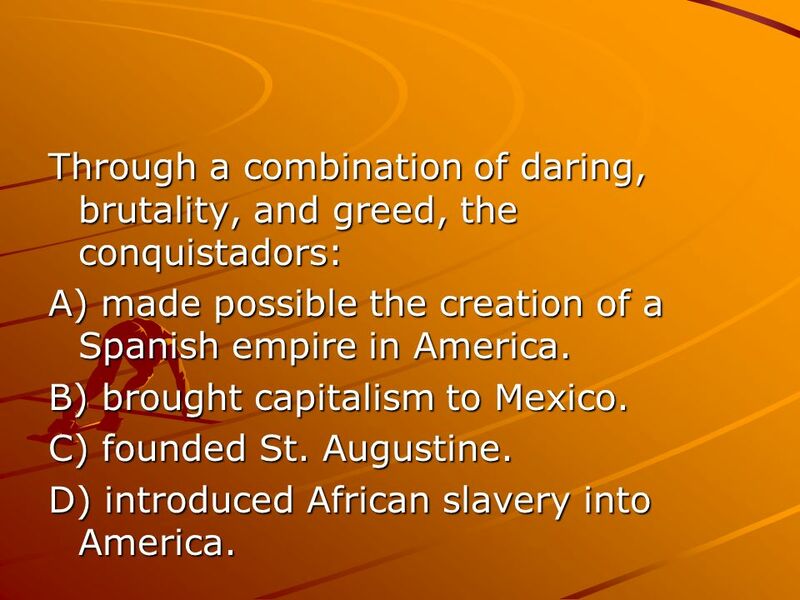 5 Through a combination of daring, brutality, and greed, the conquistadors: A) made possible the creation of a Spanish empire in America. B) brought capitalism to Mexico. 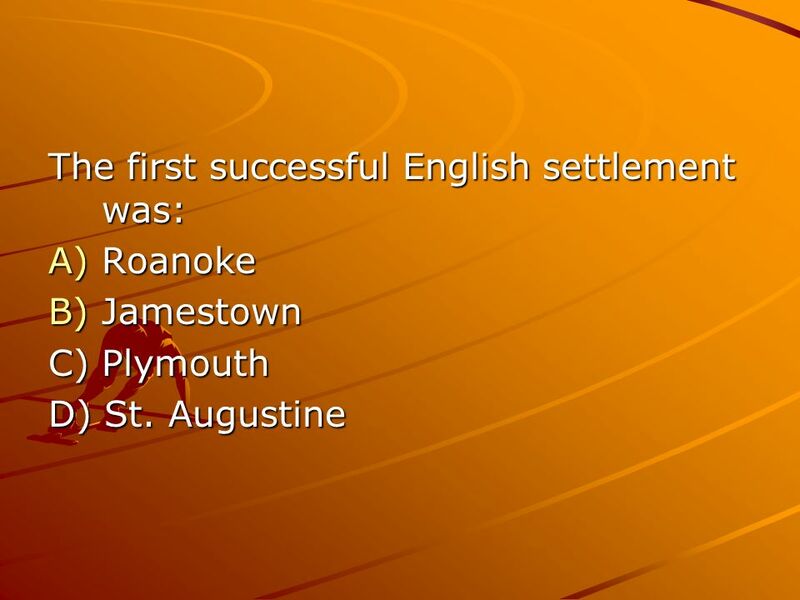 C) founded St. Augustine. 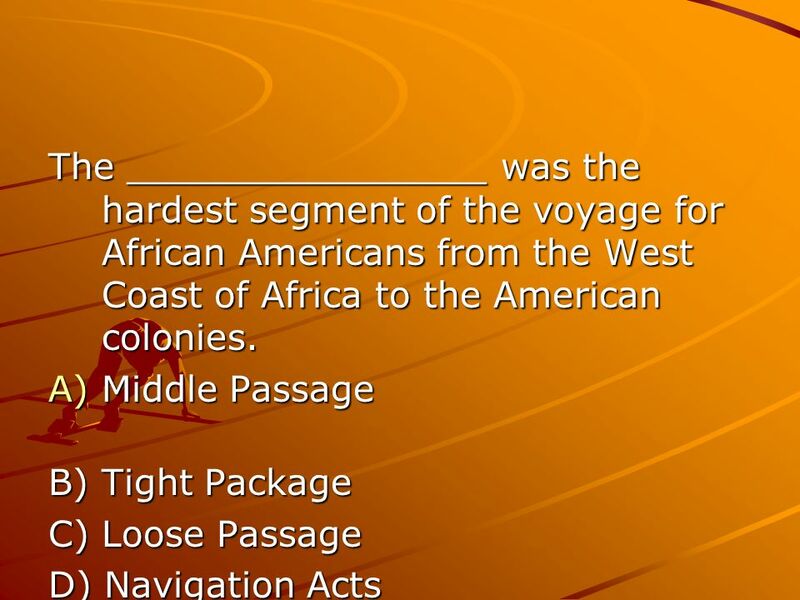 D) introduced African slavery into America. 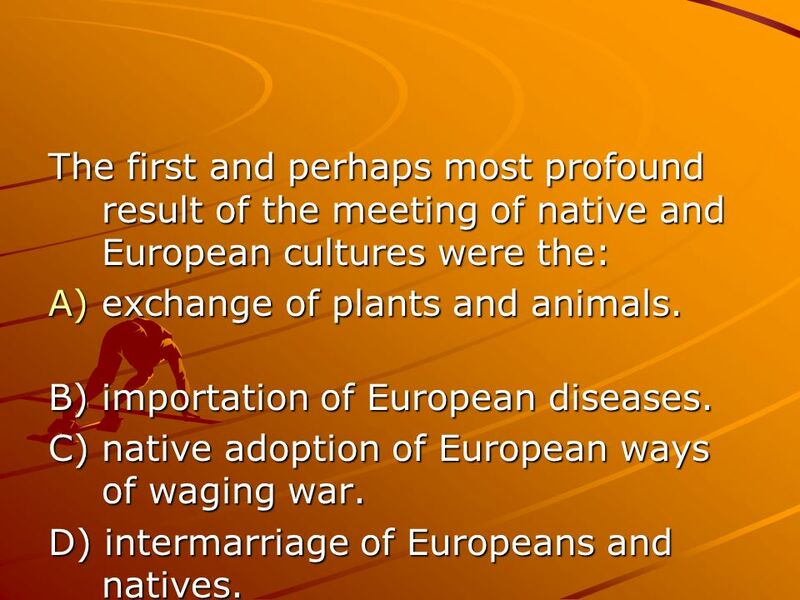 6 The first and perhaps most profound result of the meeting of native and European cultures were the: A)exchange of plants and animals. B) importation of European diseases. 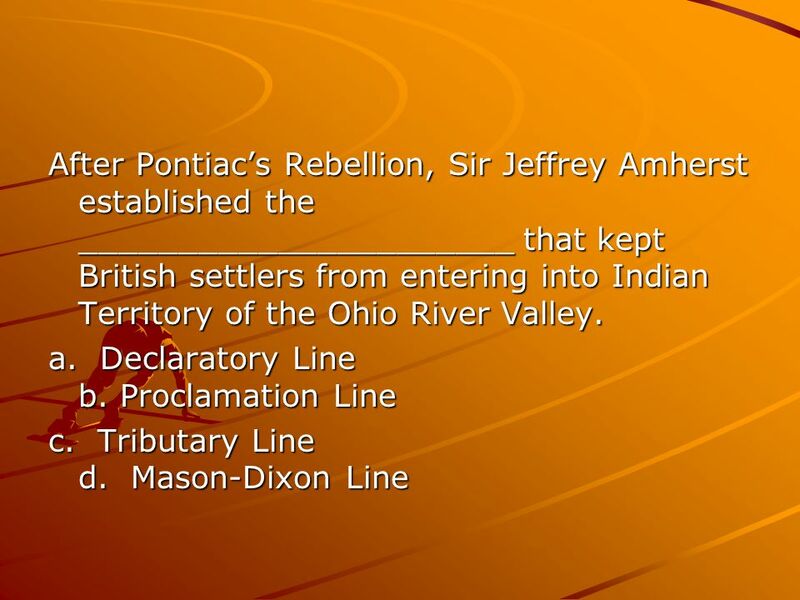 C) native adoption of European ways of waging war. D) intermarriage of Europeans and natives. 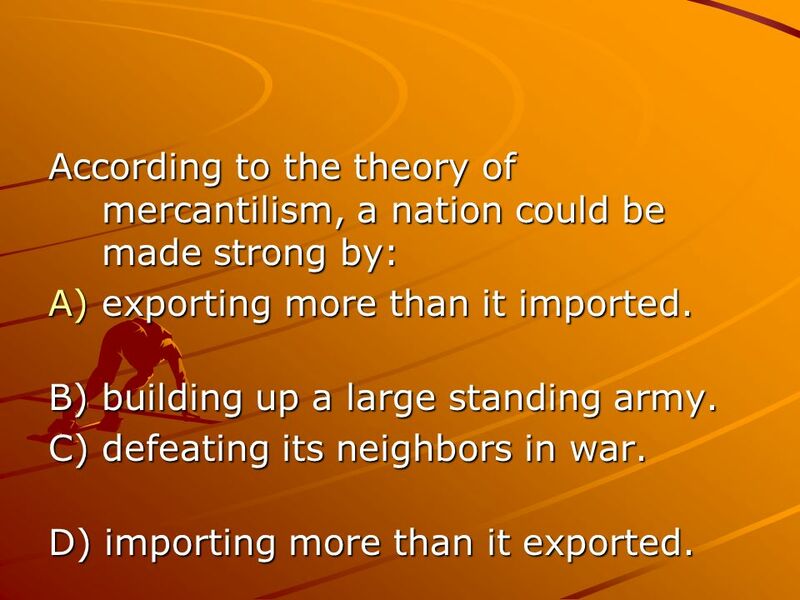 7 According to the theory of mercantilism, a nation could be made strong by: A)exporting more than it imported. B) building up a large standing army. 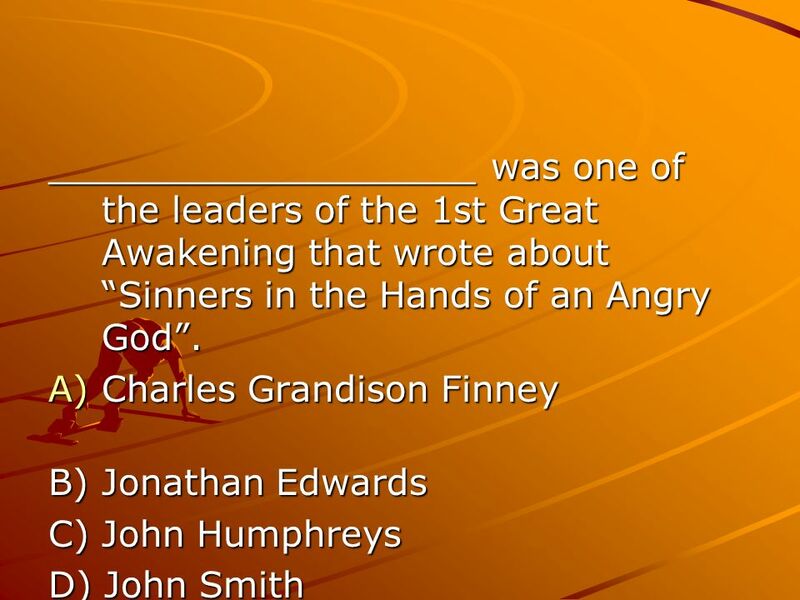 C) defeating its neighbors in war. D) importing more than it exported. 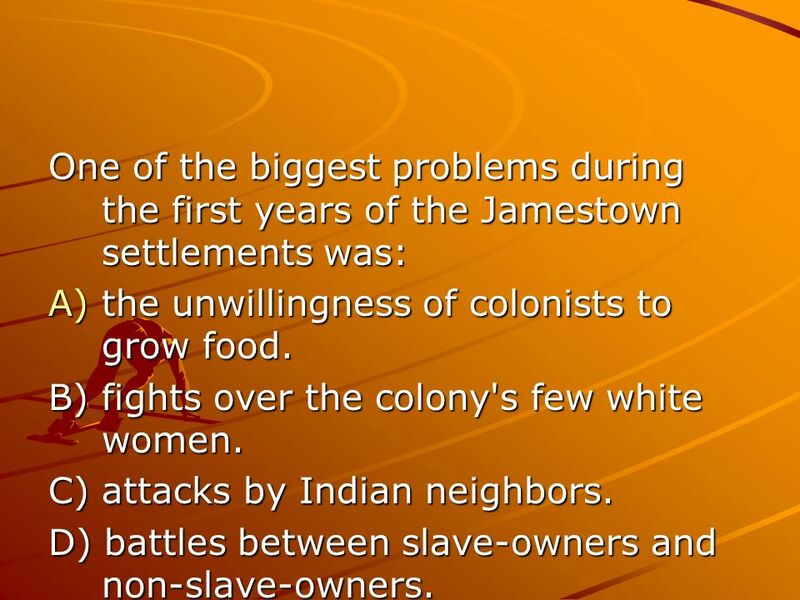 9 One of the biggest problems during the first years of the Jamestown settlements was: A)the unwillingness of colonists to grow food. B) fights over the colony's few white women. C) attacks by Indian neighbors. 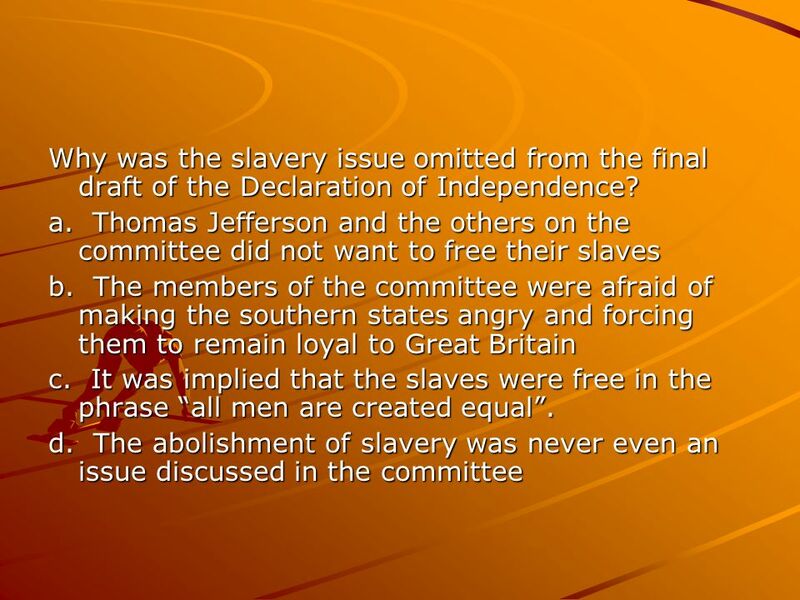 D) battles between slave-owners and non-slave-owners. 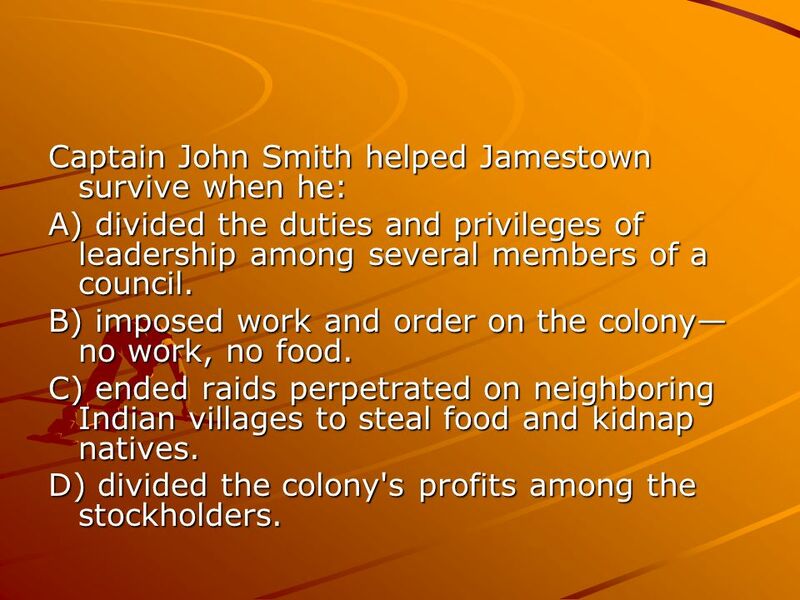 10 Captain John Smith helped Jamestown survive when he: A) divided the duties and privileges of leadership among several members of a council. B) imposed work and order on the colony no work, no food. C) ended raids perpetrated on neighboring Indian villages to steal food and kidnap natives. D) divided the colony's profits among the stockholders. 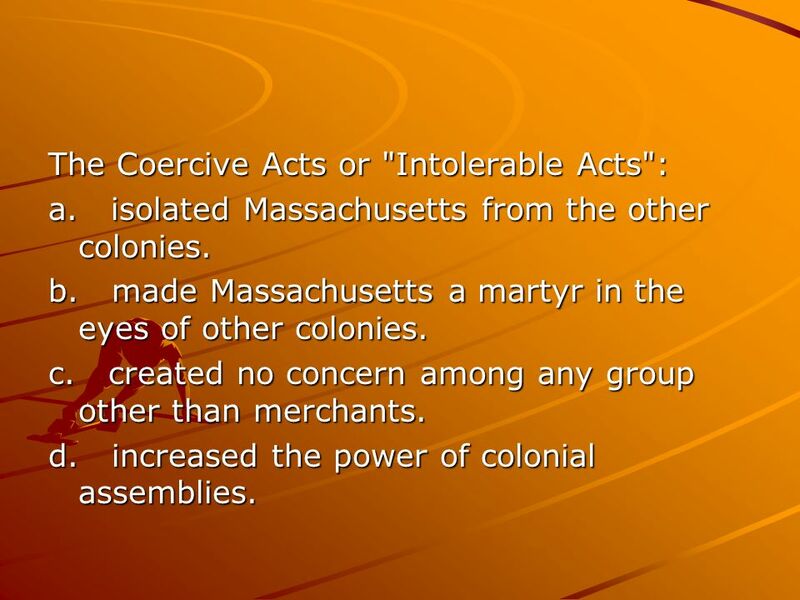 14 The Coercive Acts or "Intolerable Acts": a. isolated Massachusetts from the other colonies. b. made Massachusetts a martyr in the eyes of other colonies. c. created no concern among any group other than merchants. d. increased the power of colonial assemblies. 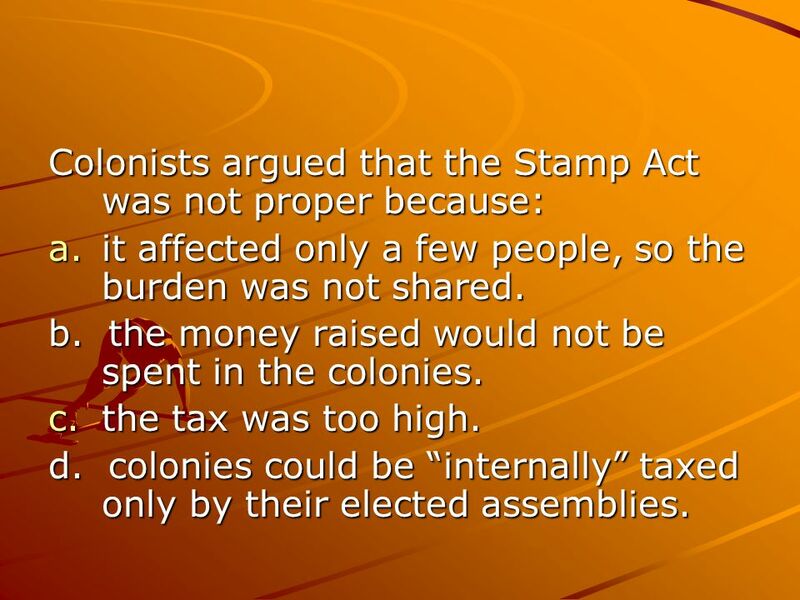 17 Colonists argued that the Stamp Act was not proper because: a.it affected only a few people, so the burden was not shared. b. the money raised would not be spent in the colonies. c.the tax was too high. d. colonies could be internally taxed only by their elected assemblies. 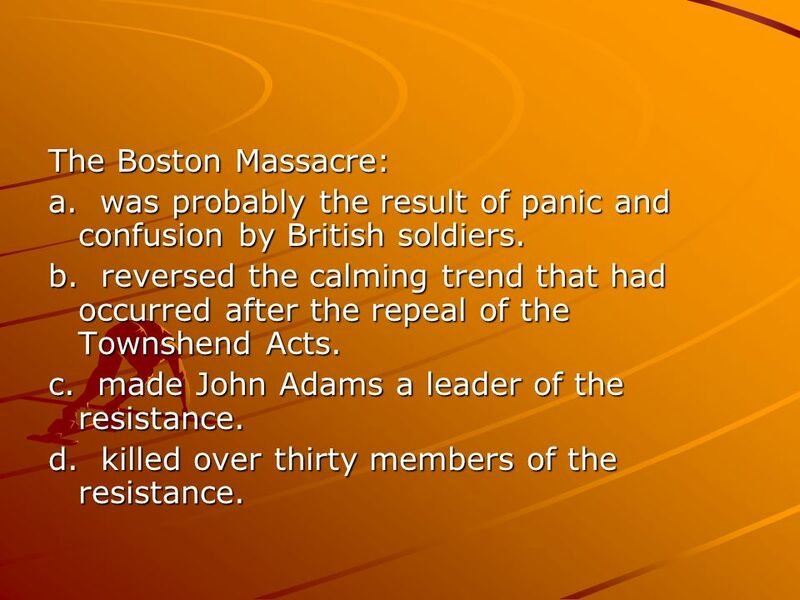 18 The Boston Massacre: a. was probably the result of panic and confusion by British soldiers. b. reversed the calming trend that had occurred after the repeal of the Townshend Acts. c. made John Adams a leader of the resistance. d. killed over thirty members of the resistance. 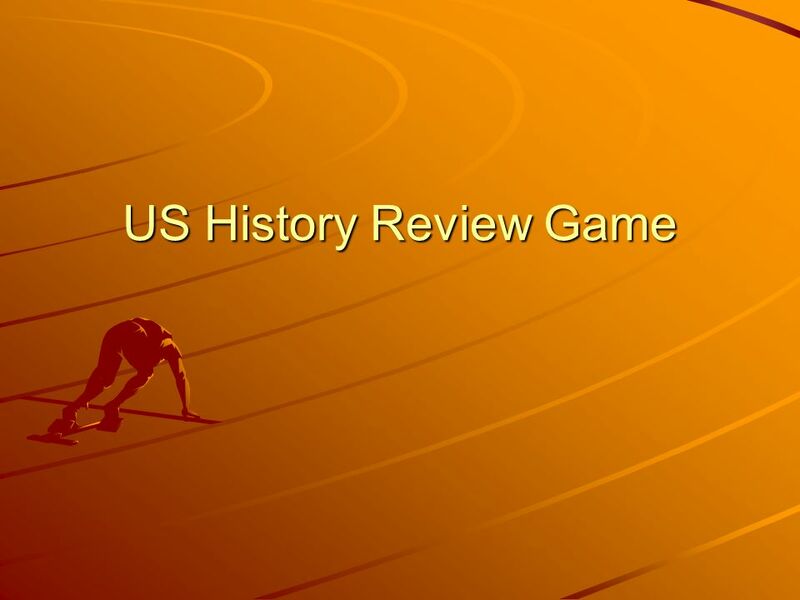 Download ppt "US History Review Game. 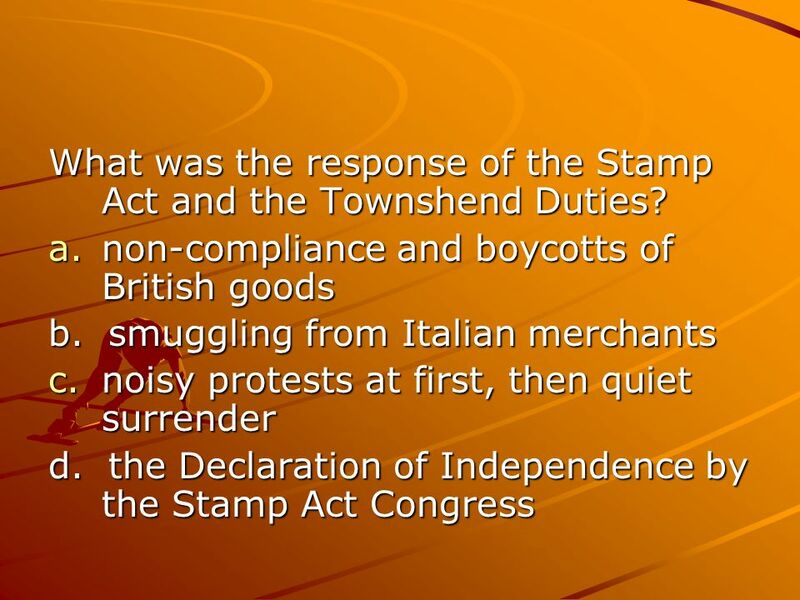 CACOYANUDO Which of the following were reasons for English colonization? A) religious tensions B) population increases C) enclosure." 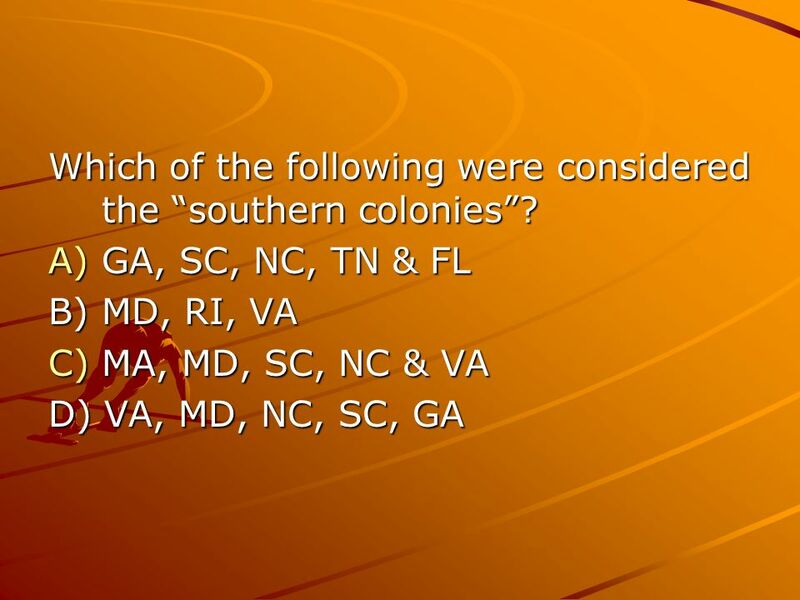 Chapter 4: Growth of the Colonies Don’t Forget... Contestants. SOCIAL STUDIES UNIT 6 REVIEW Please complete this review as many times as possible before the assessment! Objectives Explain the conflict between Native Americans and British settlers in Describe how the colonists responded to British tax laws. Describe. French and Indian War 1750’s British and French claim the Ohio River Valley Albany Plan of Union War breaks out in 1754 Spreads to Europe by 1756 British. 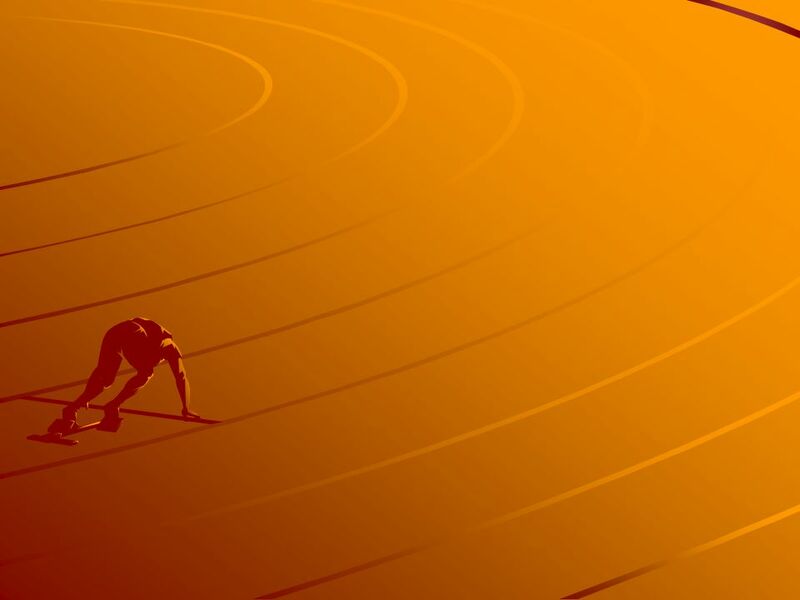 Chapter 7 Section 2 Growing Pains. Growing Pains Both Britain and the Colonies experienced growing pains. Britain had to govern a larger empire. Colonists. Road to Revolution REVIEW. 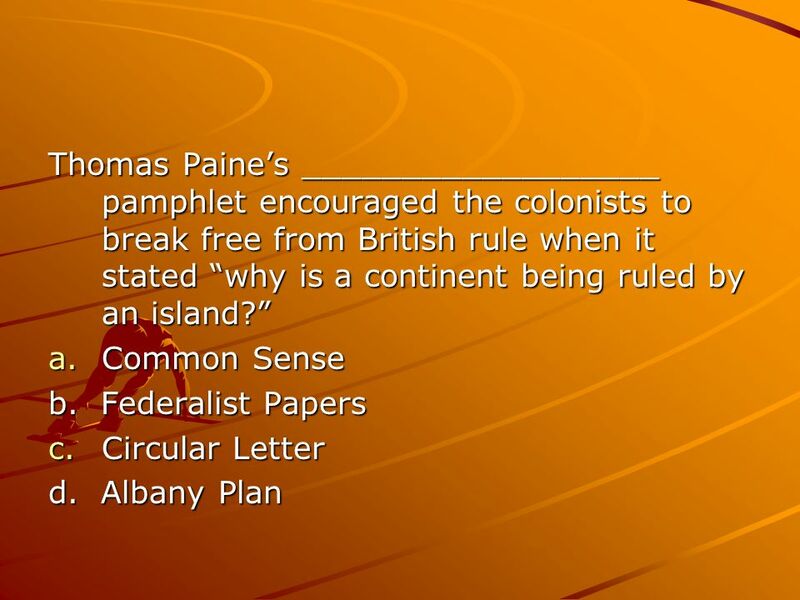 Common Sense, by Thomas Paine, is most similar to which of the following? a. A newspaper article explaining a dispute with.